Emerald Group has a strong sense of vocation for identifying new opportunities and conducting business in emerging market countries. Africa is where this strategic presence is strongest. Specializing in the social, political, economic, and historic aspects of this Continent, in all areas, becomes an immeasurable competitive advantage when doing business. Identification of opportunities, specialization in the most relevant aspects of every African country, access to the main decision makers and execution capacity are the main competitive factors made available to those who wish to come to Africa. A Board with a combined experience of more than 100 years to conduct business in Africa. Our principle strategy to entry across our businesses is based on regional expertise, sector expertise, partnerships, and the design and implementation of bespoke, executable strategies. Working locally requires access to key decision makers, strong personal and professional relationships and an extensive track record. Together, our investment, management and risk analysis capacity, are indispensable components to the execution of the projects that we undertake. With our comprehensive, multi-dimensional view of Africa’s potential, new projects in various sectors are omnipresent. The Emerald Group is strategically and financially equipped to make new investments in an effort to build a diversified and dynamic portfolio. Banco Postal operates through three separate Business Units addressing four client segments: Xikila Money, which focuses on the unbanked sector with low and medium income individuals; Comércio & Empresários, targets small companies and entrepreneurs; and finally Corporate & Personal, focuses on the sizable companies and individuals with high income who require modern, efficient communication channels, innovative products and bespoke services. EMILOR is a Joint Venture between Essilor and the Emerald Group since 2015. Essilor, as a result of more than 160 years of innovation in eye care, is the world leader in corrective lenses, present in more than 100 countries. From design to manufacture, Essilor develops a wide range of lenses to correct and protect the eyesight of everyone in the world, using lenses tailored to their needs and possibilities. Emilor’s objective is to offer quality eye products and eye care services to the Angolan market at an affordable rate. Emerald Resources founded Nino Oil & Gas in 2014, an independent E&P company that exclusively focuses on oil and gas opportunities in Angola. Nino’s chief objective is to acquire and develop a balanced portfolio of non-operating interests in producing, proven, or highly prospective oil assets across Angola. 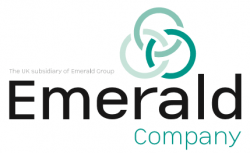 Emerald Company (UK) Ltd, earlier known as Advantage Advisory (UK) Ltd, is the London-based affiliate of Emerald Group. Emerald Company (UK) specializes in frontier and emerging markets globally with a particular emphasis on Africa. The firm targets opportunities in the energy, natural resources commodities and infrastructure sectors. 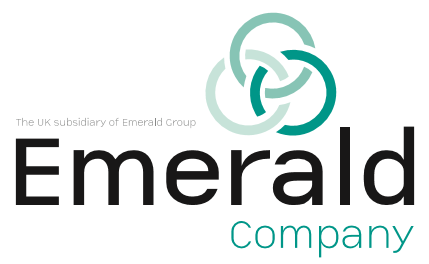 In 2013, Emerald Group founded Diaar Property Group, a privately owned strategic, property development and investment company. With a wealth of experience and an entrepreneurial approach, the company has invested in excess of US$25 million in residential, offices and retails projects in Angola. Diaar Property Group is currently looking at opportunities in the Mozambican real estate sector. Accel International was incorporated in 2015 to cater to the trading activities of the group. It specializes in Building & Construction Material as well provides Construction services. Being based in the UAE, the company is at the epicenter of the world trade flows and is therefore capable of furnishing the best material and services to its customers. Facility Management S.A, also known as FAMA, provides personalized services in a thoroughly professional manner to private housing as well as corporate & commercial entities in Angola since 2016. FAMA, with a workforce of more than 50 employees, offers general and specialized cleaning services, general maintenance and facility services, including HVAC, as well as trained domestic assistants and office support staff. In 2018, a partnership between Fernando Esteves, Conta-Me Histórias and Emerald Group, through the incorporation of Inevitável E Fundamental Lda, birthed an innovative online journalism project, Polígrafo. Polígrafo is a fact-checking website with the sole purpose of verifying the veracity of global news, for the benefit and clarity of its readers. The web-based media outlet comprises of a range of topics from politics and economics, to sports and international news. At Emerald Group, we hold a significant regard for contributing both financial and intangible value; thus, this partnership is a testament of our willingness to create a globally well-informed and perceptive environment. Horizonte Merchant Capital is a limited private equity company, wholly owned by the Emerald Group, based at Two International Financial Centre in Hong Kong. Horizonte is the eastern arm of Emerald Capital, which has a focus on identifying investments opportunities between China and Africa, by consorting with strategic partners, structuring transactions, and financing projects in niche sectors such as Trade Finance, E-commerce, Fintech and Banking industry. Horizonte, through its highly experienced team members, also provides bespoke capital and investment advice to select clients, who require specific or specially structured merchant capital services. NextGen is a private limited company, strategically incorporated in Australia and headquartered in Angola, which has been established to identify, build and operate mining projects in the west and southern parts of Africa. The mineral exploration company has the capacity to manage all or various aspects of both Greenfield and Brownfield projects, including their financing, construction and long-term operating phase. With track records that span globally and particularly in Africa, NextGen is led by a team of seasoned professionals who have a deepened understanding of the natural resource market and strong relationships with large funding houses, key decision makers and major industry participants. NextGen represents a strategic gateway to Africa’s historically rich properties, and demonstrates a fresh and multifaceted investment approach in the world of Natural Resources.